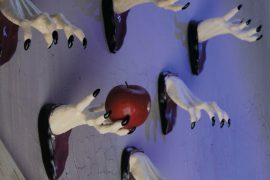 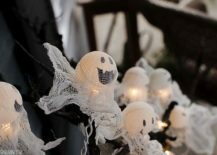 So you are quickly barreling towards Halloween and still all those creepy, crazy and fun decorations are still not up? 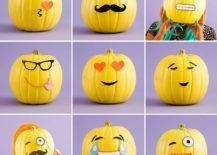 You are definitely not alone in that boat and there is still plenty of time before you really need to start cranking up the pace. 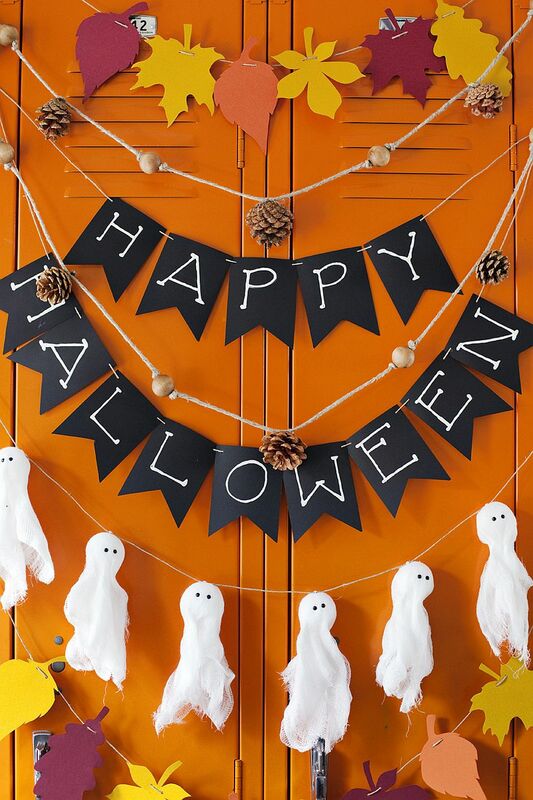 Weekends offer all the time you need to get into those fun Halloween crafts, shop for everything you need and finish projects at breakneck speed; that is if you can keep the little ones at home happy and engaged! 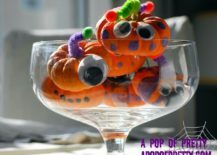 Well, as always, we have the perfect solution for you that handles both your conundrums with a single, obvious idea – Easy DIY Halloween Crafts for Kids! 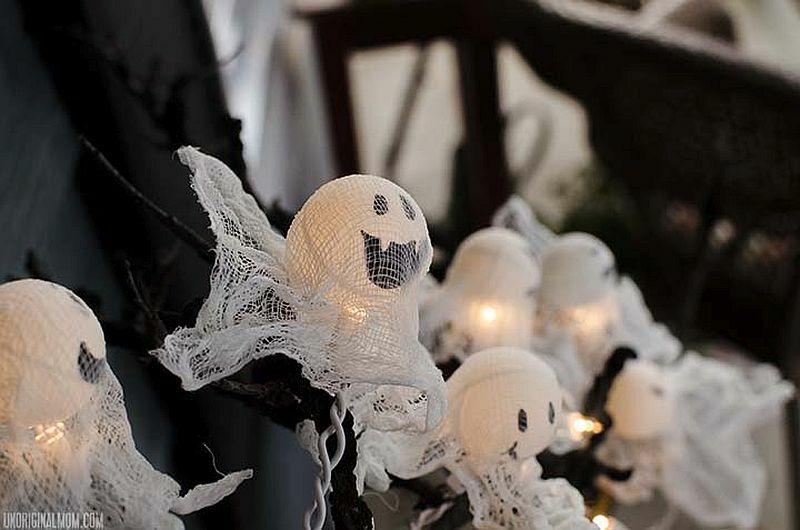 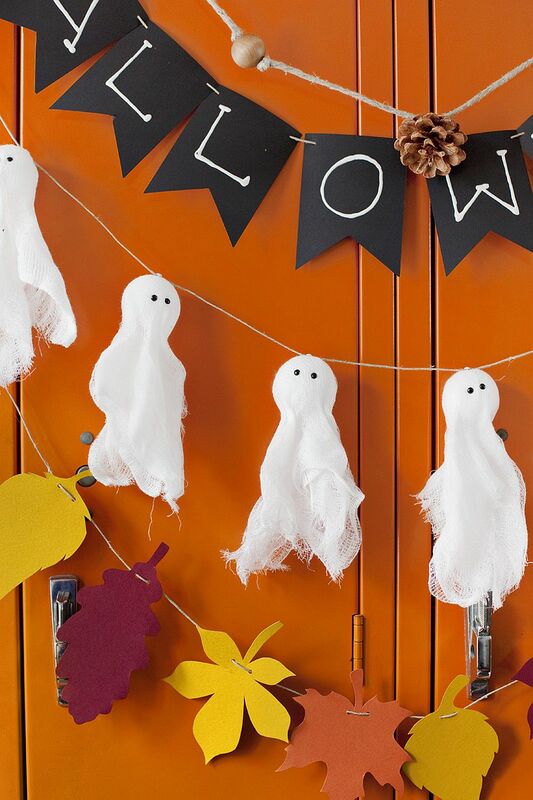 Those eerie white things effortlessly floating mid-air and giving you the chills make a popular comeback this time of the year and there is absolutely no shortage of ghost lights crafts and decorations that even kids can craft. 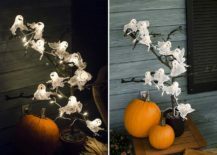 Our favorite in this category is the DIY Ping Pong Ghost Lights idea that is super-easy to replicate and yet makes a big visual impact once darkness sets in. 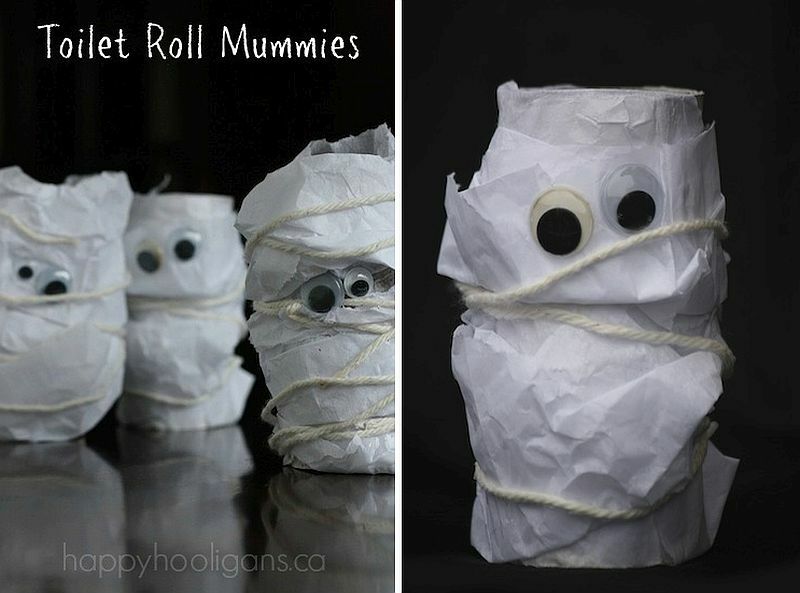 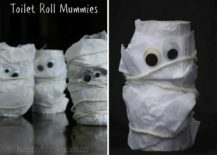 Both toilet roll mummies and DIY Puffy Ghosts are much easier to craft and you can even involve the youngest member of your family in these projects. 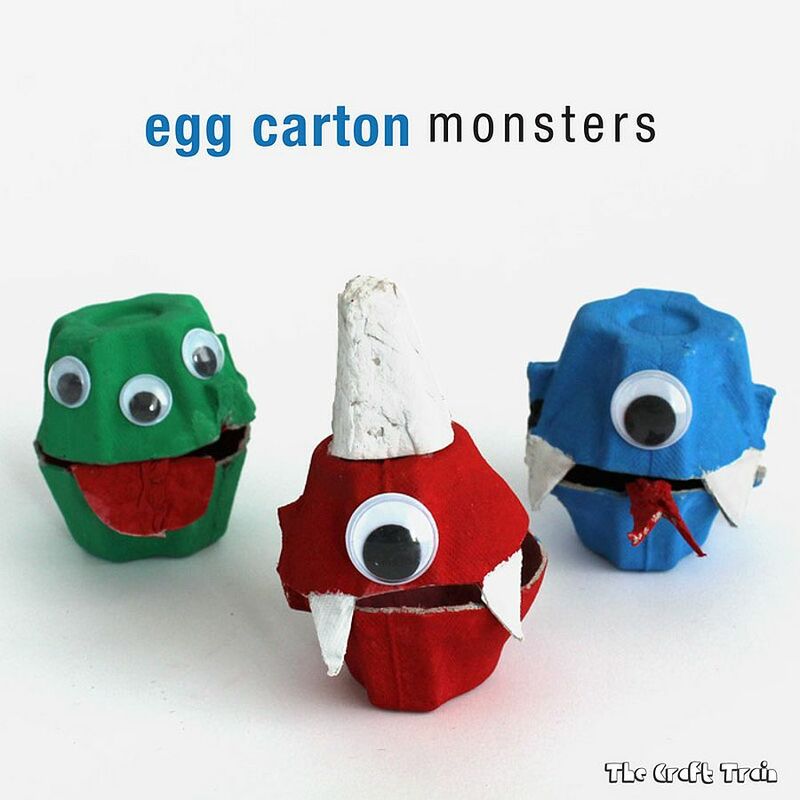 And finally giving all monsters a cool and fun persona are Egg Carton Monsters that can be crafted in a wide range of colors in pretty much no time whatsoever! 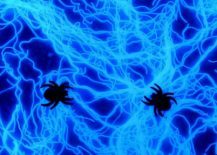 For all the creepy things that we tend to come across, for evolutionary reasons, our fear for spiders seems to have outlasted all else. 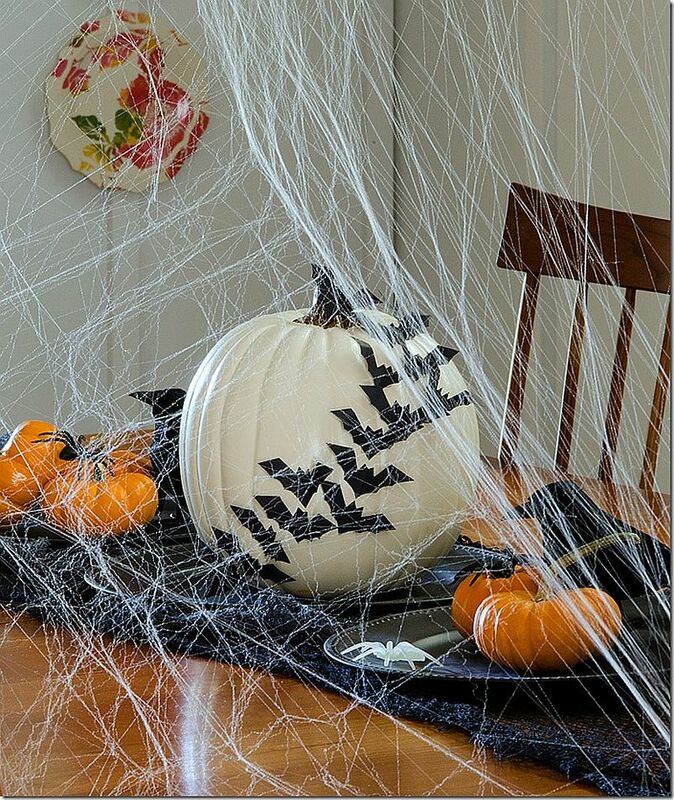 And each Halloween we tend to showcase this in a million different ways by using everything from spider webs to décor teeming with fake spiders. 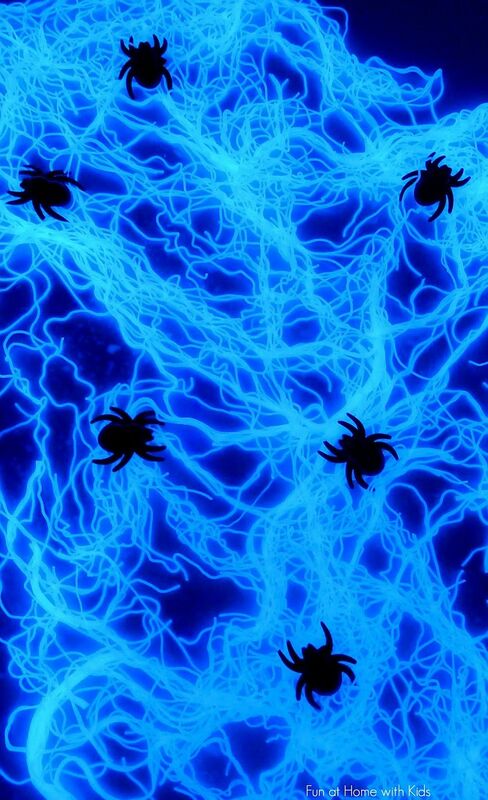 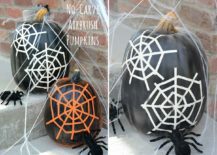 One of our favorite kid-friendly Halloween crafts of all time falls into this category and it is the glowing, edible spider’s web design. 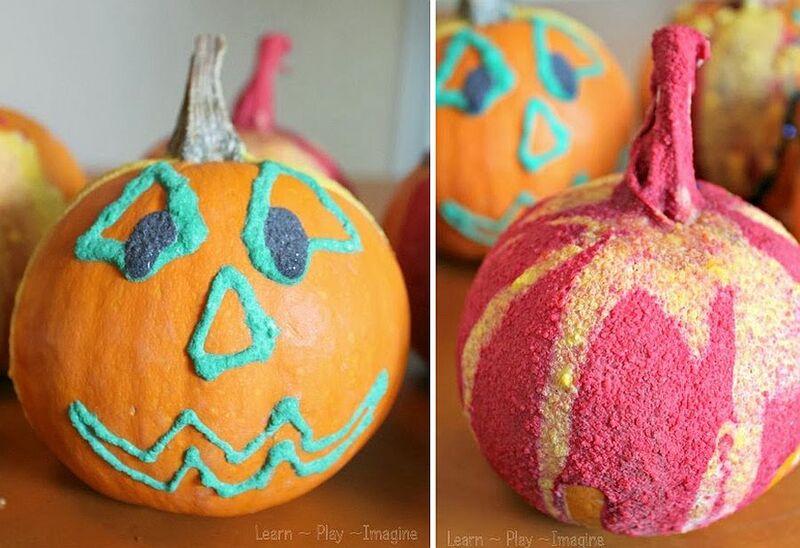 Even a toddler is bound to get in on this messy delight! 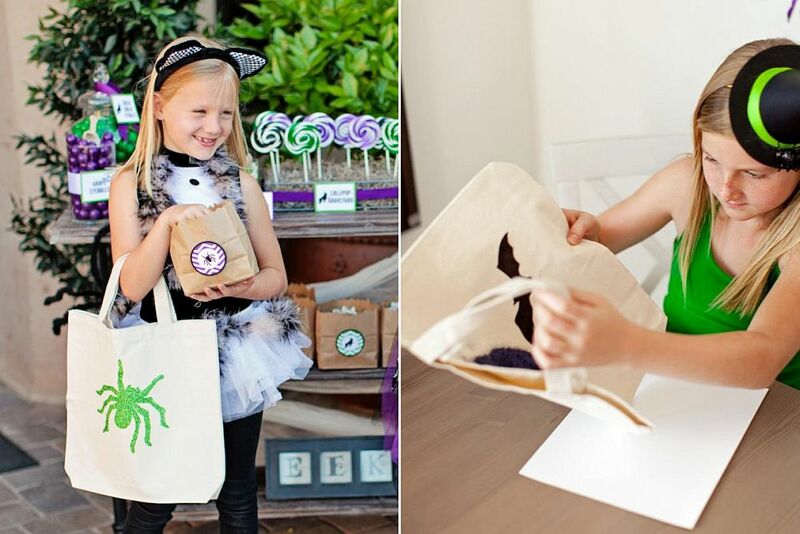 At just a touch more advanced level are the DIY spider sacks crafted from just yarn and glue. 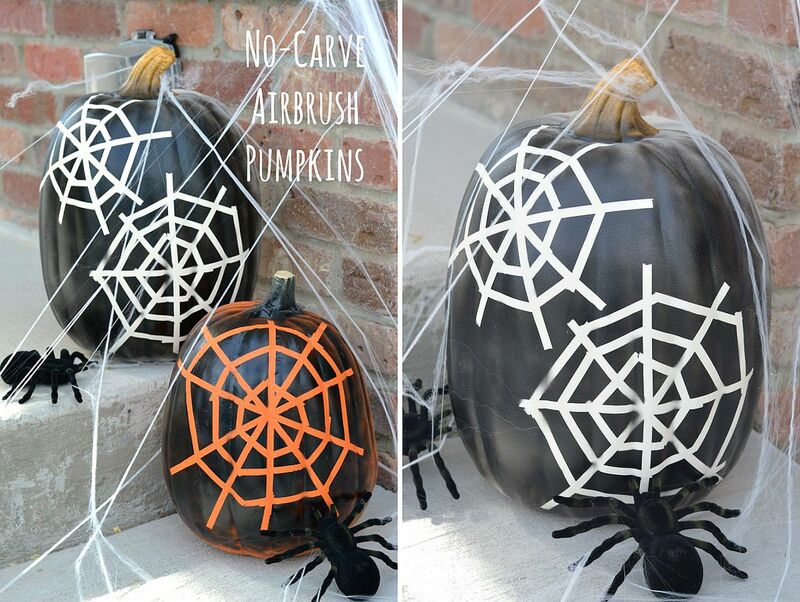 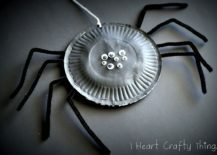 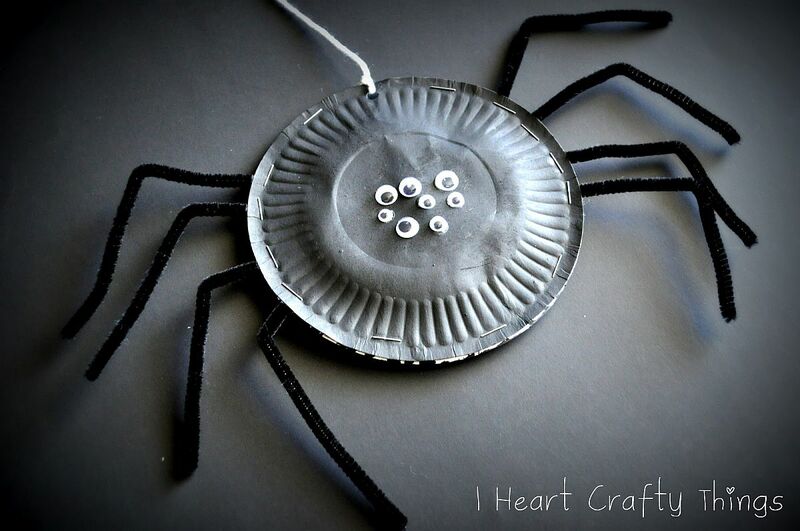 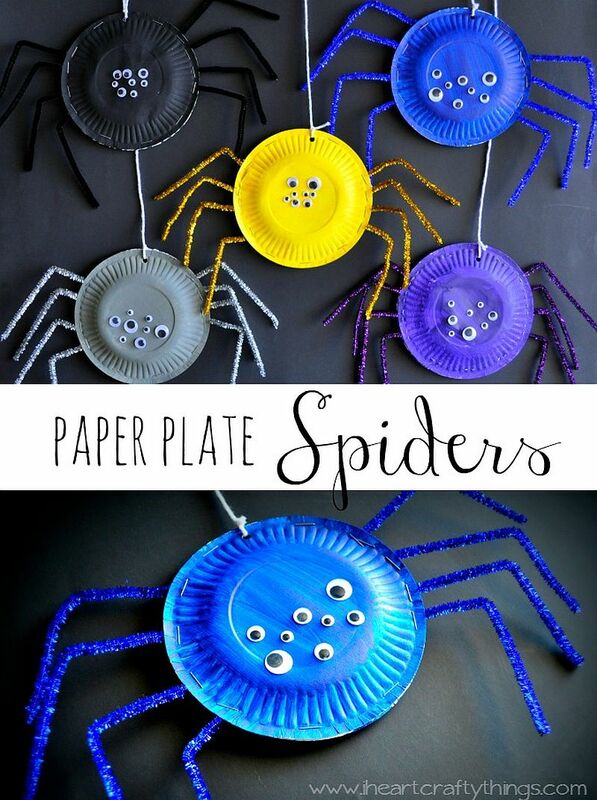 For the older kids at your home, there are more colorful artistic options like the Paper plate Spiders DIY or No-carve pumpkins with spider web motifs. 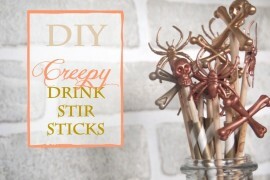 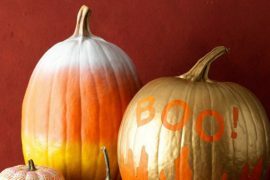 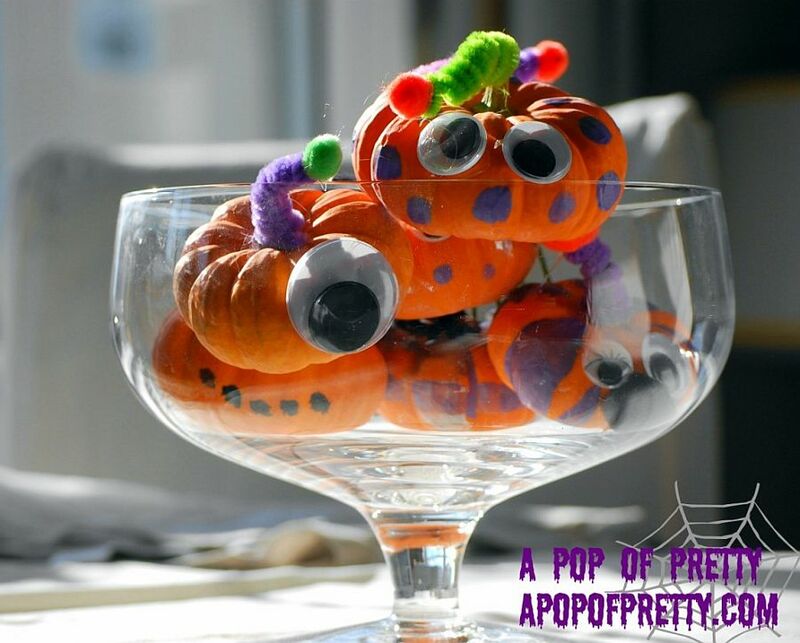 Pumpkins are an ever-present as Halloween rolls around and how can you really have a collection of cool kid-friendly DIYs for the scary season without a splattering of pumpkin-themed crafts. 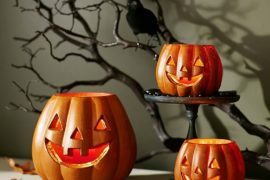 As always, carving a pumpkin is absolutely out of question as sharp objects and kids simply do not mix well. 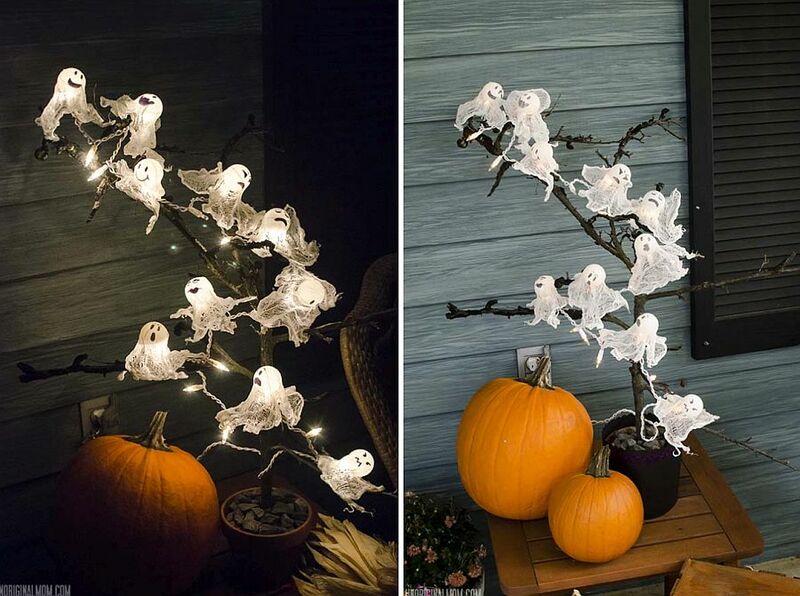 Start off with a project like the cute and still ‘just creepy enough’ DIY mini pumpkin monsters and then you can move on to something as simple as the white painted pumpkin with bats flying across it. 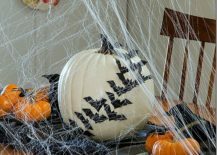 Throw in the glowing spider web that we talked about earlier and you have a corner of your living room that absolutely comes alive at dark. 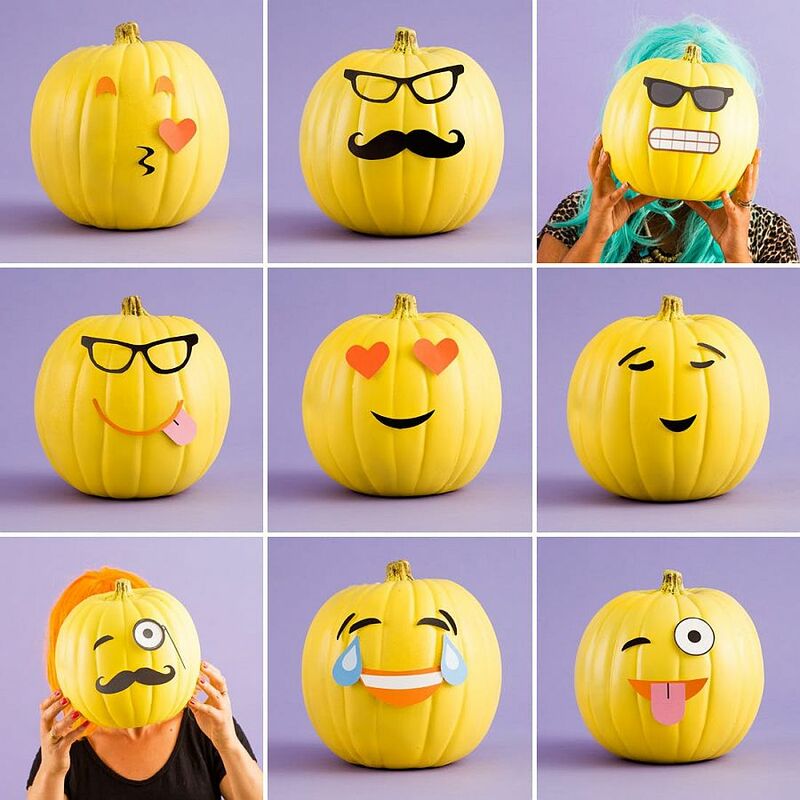 The emoji painted pumpkins might feel a touch non-Halloweeny on the outside, but they are bound to put a big smile of your kid’s face as you decorate your home with some of the more familiar faces… Halloween need not be just plain creepy all the time! 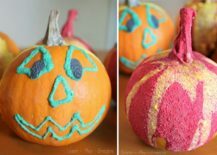 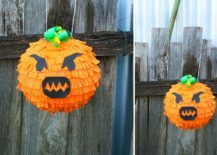 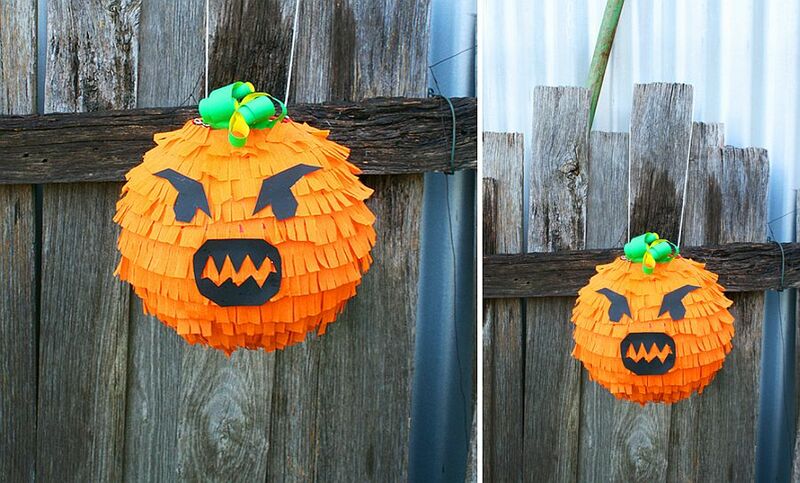 An equally vibrant project is the Puffy Paint Jack ‘o Lanterns while a pumpkin piñata is bound to get everyone excited and moving. 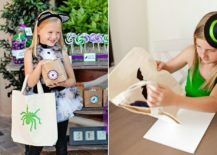 This Halloween, let your kids design their own trick-or-treat bags and with a hint of sparkle and we can guarantee you that they do look absolutely fabulous! 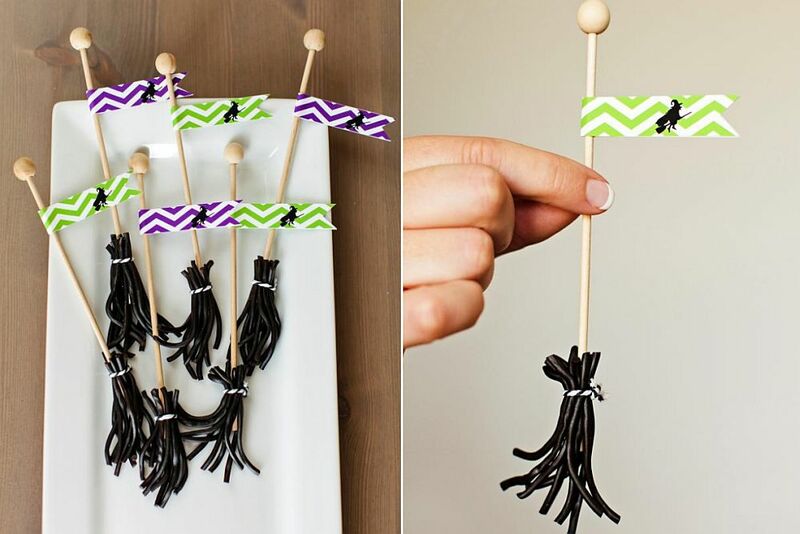 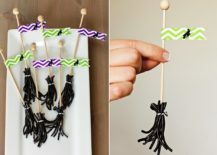 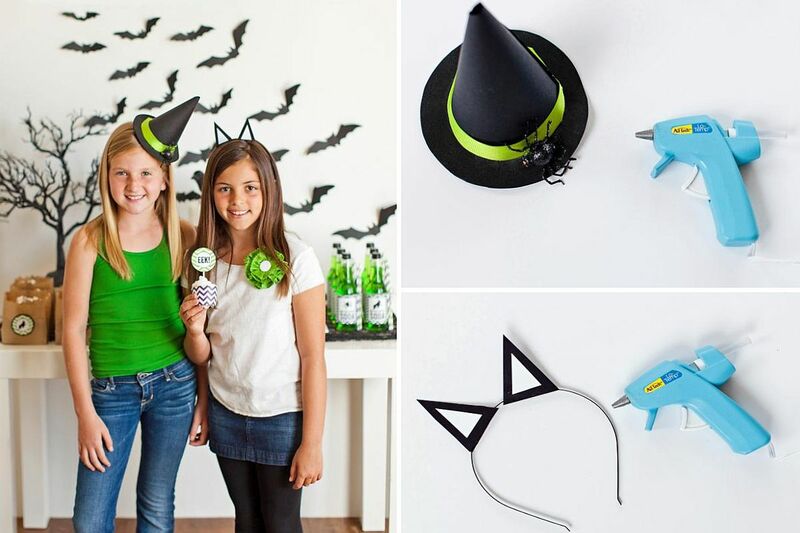 Even if you are busy sewing the perfect Halloween costume, they can help out with accessories and other details as the get busy crafting a spooky witch’s hat or even one with cool devil’s horns along with some tasty treats. 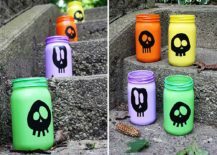 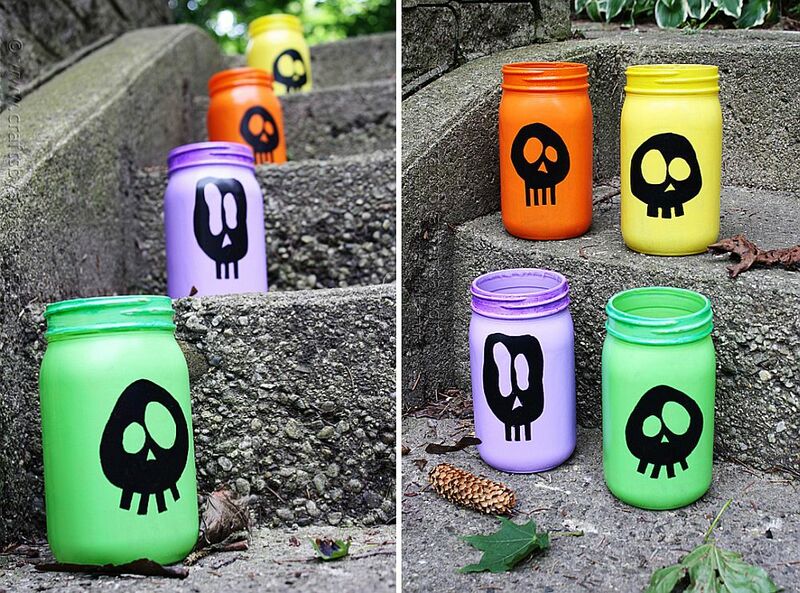 Then there are the colorful and funky DIY painted skull luminaries that will light up your entryway as trick-or-treaters start descending after sunset. 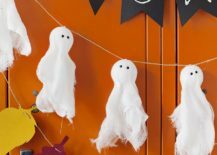 Garlands and banners are the easiest way to usher in festive charm and you can do the same with Halloween as you decorate your front porch, that space above the fireplace or even windows with cool Halloween-themed garlands. 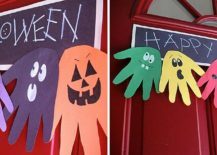 DIY handprint ghoul banner is one of those super-fun kids’ crafts that becomes even more awesome if you have three or four kids in your home at different ages. 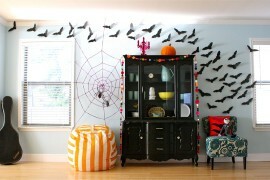 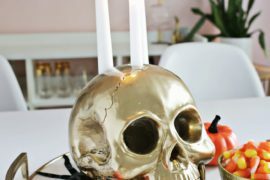 From DIY garlands with fall leaf motifs to white ghosts and those classics that spell out ‘Happy Halloween’, mix them up this year to create a vibrant and colorful interior that is not just downright eerie.